↑ WebMD Medical News. "Real CPR isn't everything it seems to be". 喺2007-06-13搵到. 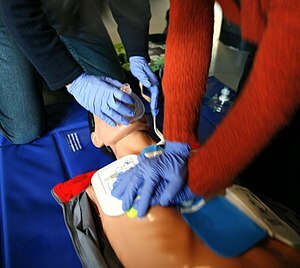 ↑ 5.0 5.1 5.2 "Highlights of the 2010 American Heart Association Guidelines for CPR and ECC" (pdf). American Heart Association.